You see that big touchscreen above? It’s coming to Canada next year. 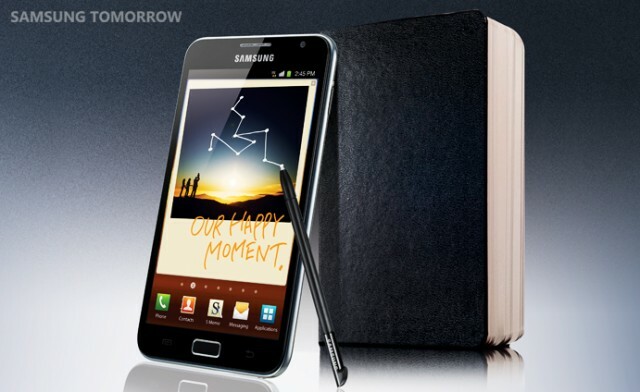 Our reliable sources have informed us that the Samsung Galaxy Note, “a new category of product”, will be launching in Canada “early Q1 2012″. Carrier(s) are still being decided upon, but it will most likely end up being an exclusive. Specs wise, this Android comes with OS 2.3.5 and no word yet on an upgrade to OS 4.0. In addition, the Note has a huge 5.3-inch HD Super AMOLED touchscreen display (1280×800) that’s made of Gorilla Glass, has the and an “S Pen” stylus, a 1.4GHz dual-core processor, 8 megapixel camera that records 1080p HD videos, 2 megapixel front-facing camera, HSPA+ and LTE-enabled, Wi-Fi and a 2,500 mAh battery. Overall dimensions of the Note are 9.65mm thin and weighs 178 grams. Was Einstein wrong about our universe?